It was a cute home. A nice cape-style home on a private lot. It was affordable. It needed some work, but not too much. It was priced accordingly. It was a short sale - the owners owed more money on the home than it was worth. The second buyer experienced family issues, and buying a home was no longer in their plans. So we continued onward. We continued to market and show the home. The home was vacant and supposed to be winterized. I checked every few days to see if this had been done, and notified the owners every few days to remind them - the home needs to be winterized. Well, the home was never winterized. I showed up one day for my regular check of the home, and there was water everywhere. It was an indoor waterfall. Not my idea of fun. Obviously, the home was now damaged. Everything was wet. Drywall was falling off of the walls and ceilings. The carpeting had to go. The carpeting really had to go. There are things growing in the carpets. Not pretty. But, we kept moving forward. We kept marketing this home. And, we generated three more offers. One of these offers was pretty darn good. That was in January. Five months later, that buyer is still with us. He still wants the home and he's still willing to wait. How many buyers do you meet like that? In a short sale situation, this buyer was a dream come true. The lender had been sitting on this offer since January. They didn't want to accept that the home had lost value because of the damage. We sent pictures and detailed information. Finally, the lender agreed to send out an appraiser. The house, in its current condition, appraised for right around the offer price. We thought we were in luck. We thought this journey might soon end. We thought the buyer would soon have this house and begin working on it. The owner's loan on the home was an FHA loan. With FHA loans, they will not consider a short sale on a home where the damages are greater than 10% of the value of the home prior to the damages occurring. What? I never knew that. Does it make sense? No. We're still trying to work on this, but the lender has informed us that they have now closed the file and will proceed with foreclosure. What they refuse to take into consideration is that after the foreclosure is completed, the bank will then own this damaged home. The value most certainly will not increase as the home sits there during the foreclosure process. In fact, while they proceed with the foreclosure, this home will most likely continue to deteriorate. This home will lose more value. I've closed a number of short sales. They are a part of our marketplace. They are not easy, but no one ever said selling real estate would be easy. We could have had another successful short sale transaction this week. The lender has let us down. These owners will now face foreclosure. I had a similar situation happen... It was foundation issues. I had to get three estimates sent to the lender.... It has to be a Licensed Contractor. Hope this helps. Call the mortgage company and have them reopen file and forward bids to negotiator and supervisor. Michelle - Yes, all estimates need to be from a licensed contractor. That was not the issue here. The issue is that the repairs needed are greater than 10% of the home's value. With an FHA loan, that means no short sale will be approved. Don, I ran into a similar situation. I had listed the house and within a day, a furnace/hot water heater malfunction cause a huge amount of water damage. Same thing, insulation and sheetrock had to be removed throughout. I was surprized but happy to find the homeowners insurance is paying. The banks happy, though they have to wait a bit longer, they're going to get more money for the home when we get it back on the market. Is this only for FHA loans, the 10% of the home's value? Laura - there was no insurance coverage for this home... Insurance won't cover damage in vacant houses that was caused by failure to winterize. Yes, this is only for FHA loans, where they won't consider a short sale if the damage has reduced the home's value by more than 10%. Thanks for clearing that up. Good luck, and again thanks for the info! Laura - Not a problem! It is an unfortunate problem especially when you have a buyer who wants the home and can do the fix up work. Many of these properties have damage as many of the owners lost the desire to care for their properties knowing that they will soon be lost. by the way, Do you have an outside blog that I can add to my Blogroll ? 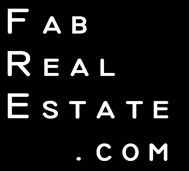 Thanks and look forward to reading your thoughts on the world of real estate. Hi James - Yes, we had a buyer who was willing to do all the work. It's a shame. But perhaps now he'll buy it for less at the foreclosure auction. It was a loss all around, but perhaps the buyer can win out in the end. DON - I've bookmarked this to show to buyers that are interested in short sales. The process is not easy, and even the most patient buyer runs the risk of losing out in the end. I think that short sales are great for investors that just want to throw out a number of offers on homes and "see what sticks," but homebuyers planning on moving into the home should be very careful before deciding to proceed forward. Thanks for sharing this story. Adam - Short sales are tough, but we're doing more and more of them. It does seem as though the banks are starting to be more agreeable to them. But, they still want within 5-10% of the fair market value, so they're not necessarily the "steals" everyone expects them to be. This one was a shame. They bank should have moved forward. They're going to lose more in the end. Don - This is much like my experience, the whole roof blew off. What is it going to take to get these guys to wake up and act like real busiess people? Maybe we all should send our blogs to our legislators. The problem with short sales is that the lenders do not yet have enough staff working on them. Several months ago, I was told each negotiator at the lender had 500 short sale files on their desks to work on. Now I've heard they have 2,000-4,000 files each. Lenders say they are trying to hire more staff. That could help. Lenders say they are trying to make things go smoother, that they see the benefit of a short sale over a foreclosure to their own bottom line. We'll see. I've seen some improvement from some banks. This FHA rule threw us all for a loop. It was a loss for everyone involved.